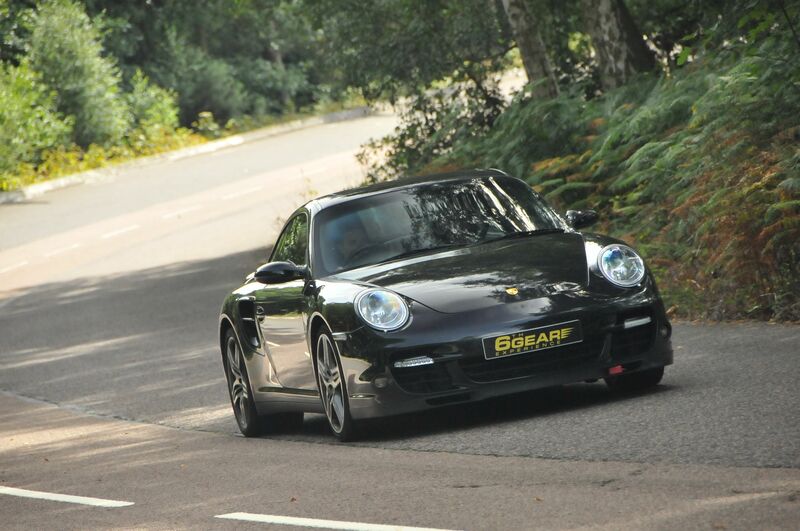 The Legendary Porsche 997 Turbo is seen by many as a genuine icon. With its rear mounted 3.6 litre turbocharged engine it boasts over 480bhp giving it a top speed approaching 200mph. Since it’s also equipped with permanent four wheel drive the handling is simply astonishing, and what makes the Porsche different from other Supercar’s is that it really is possible to use everyday. 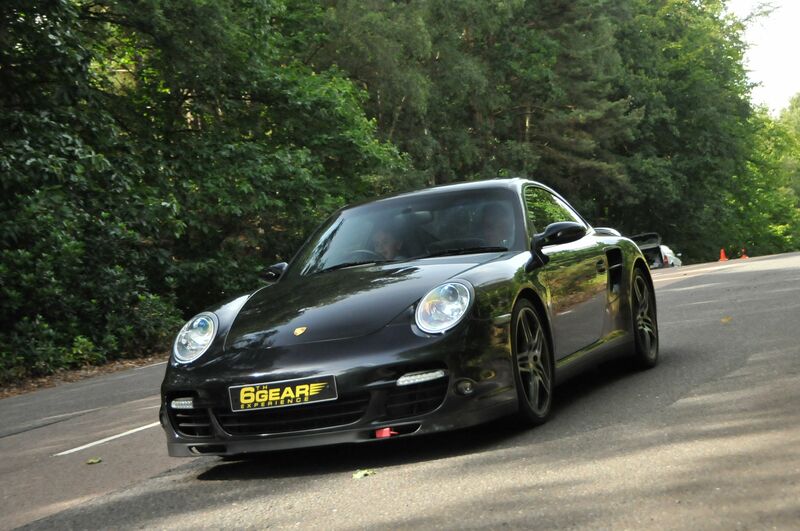 Our Porsche 997 Turbo is the very latest version from this famous German Supercar manufacturer. Our lucky drivers Porsche 997 Turbo experience starts with full In-Car briefing. 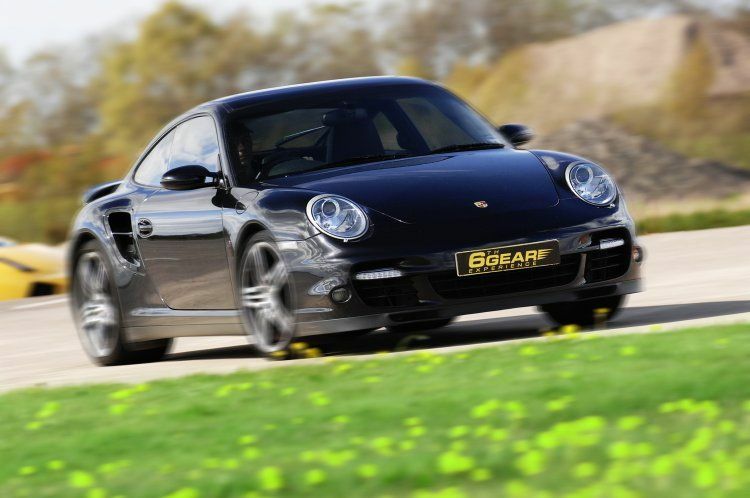 Then its time to climb into the beautiful leather interior of the Porsche 997 Turbo, have a couple of minutes being briefed by the Porsche Instructor and then engage first gear and pull out of the pits onto the circuit. Our Porsche Turbo’s are teptronic transmission meaning the gears are selected via buttons on the steering wheel just like an F1 car. It can also be switched into fully automatic transmission if need be. The punch from the turbocharged flat six engine and the howl as one accelerates down the main straight is truly incredible! After 6* exhilarating miles its time to head back to the pits in the Porsche but the fun isn’t over yet. Time now to jump into the passenger seat of one of the performance saloons for a seat of the pants Hot Lap driven by one of 6th Gear’s Race Instructors! Fantastic fun! Finally we will present to the lucky driver a Certificate of Supercar Driving as a memento of what we know will have been a great day! The lucky gift voucher recipient’s Porsche 997 Turbo experience starts with in-car briefing by one of our professional instructors. Then it’s time to climb into the beautiful leather interior of the Porsche 997 Turbo, have a couple of minutes being briefed by the expert Porsche Instructor and then engage first gear and pull out of the pits onto the circuit. Our Porsche Turbo’s are tiptronic transmission meaning the gears are selected via buttons on the steering wheel just like an F1 car. It can also be switched into fully automatic transmission if need be. The punch from the turbocharged flat six engine and the howl as one accelerates down the main straight is truly incredible! 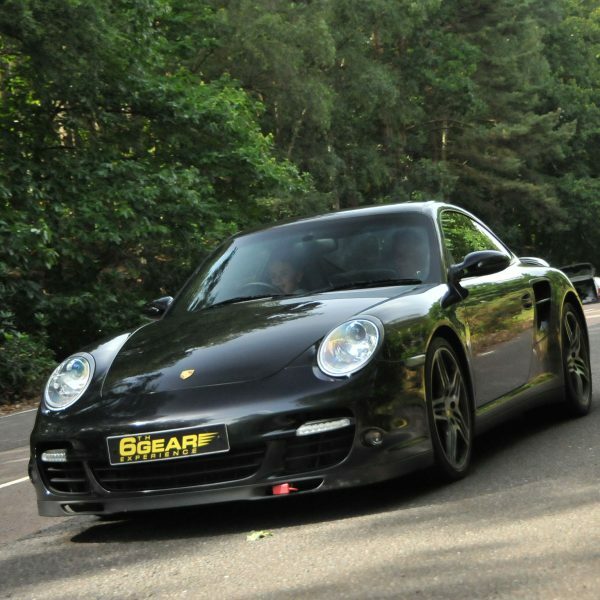 After 6* exhilarating miles it’s time to head back to the pits in the Porsche 997 Turbo but the fun isn’t over just yet…It is now time to jump into the passenger seat of one of the performance saloon cars for a seat of the pants Hot Lap driven by one of 6th Gear’s Race Instructors! Fantastic fun!